I mentioned a few posts ago about letting go and having TealKid transition into a more active role in day-to-day management of his life. This isn’t just a skill he needs for allergies, but for life in general. I’m not going to be a parent who’s calling a college professor about my kid’s grades. If he has an issue, he needs to step up and take charge. I’ve heard this skill is really lacking in general, and I feel like I’m not preparing him for a successful life if he’s not ready to do what he needs to. Both in general and when it comes to management of his allergies. Late in the fall, he came to me and said he wanted to join the school ski club. There was a flash of so many reasons that my immediate reaction wanted to be no. 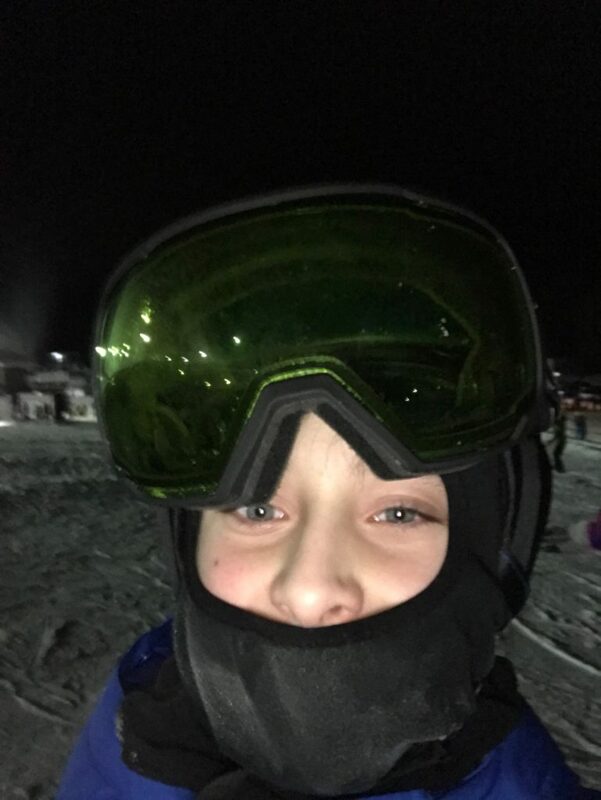 Skiing is on the more dangerous side of sports, especially to my often gravitationally-challenged tween. The resort isn’t super close to home. It’s long hours, after school, and spans a meal time as well. There is the expense of skiing and then there are all my allergy mom concerns. TealHubs and I talked it over and came up with a few thoughts. Of course, MY idea was me sitting in the lodge every Friday night for the next five weeks, because I am not always reasonable with my thought process. We had a few weeks before the paperwork was due, so we talked it over extensively. I’m sure we talked about it more than any other parents have ever talked about it, because that’s how I am. On TealKid’s side, he had already written to the ski club advisor. 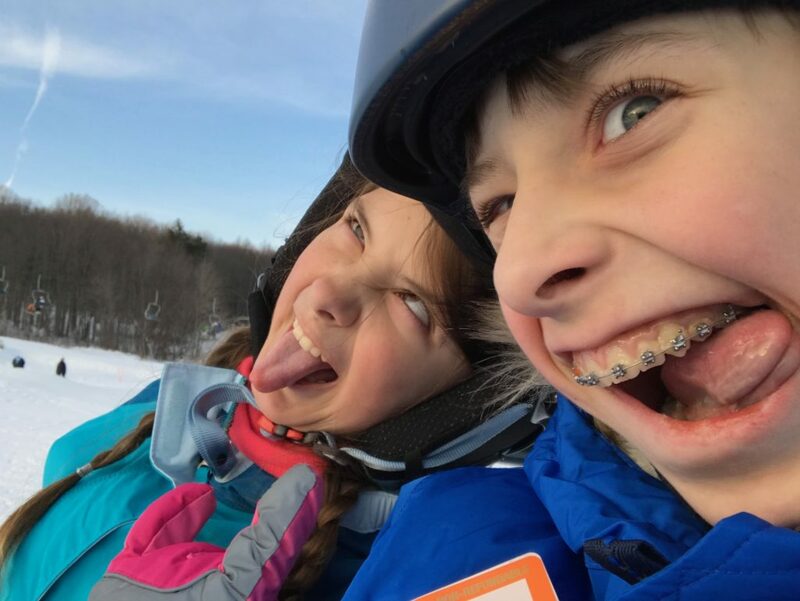 He asked if she had students in the past with allergies, how they managed it, was ski patrol trained for an anaphylactic emergency, and more of the ins-and-outs of skiing. He did that without prompting from me (yes, that’s my little self-congratulatory pat on the back there–we need to take the wins when we get them, right?) He cc’ed me on the emails to keep me in the loop, and I was given the info to call the ski patrol as well. His advisor was well-versed in allergy protocol, he would ride the bus with her because she was trained, and so on. I called ski patrol to find out what training they had and if they would give epi. All the questions were answered, but I admit I was still not comfortable with it all. This wasn’t JUST about whether he would remember to wipe down the table before he ate and to wash up, this was more about letting go a little more. He would be away from 8 A.M. until almost 10 P.M. once a week. It’s a sport where injuries happen to even the most skilled of participants. It didn’t help that I had just watched a documentary on the tragic results of TBI on a snowboarder. But… here we are. 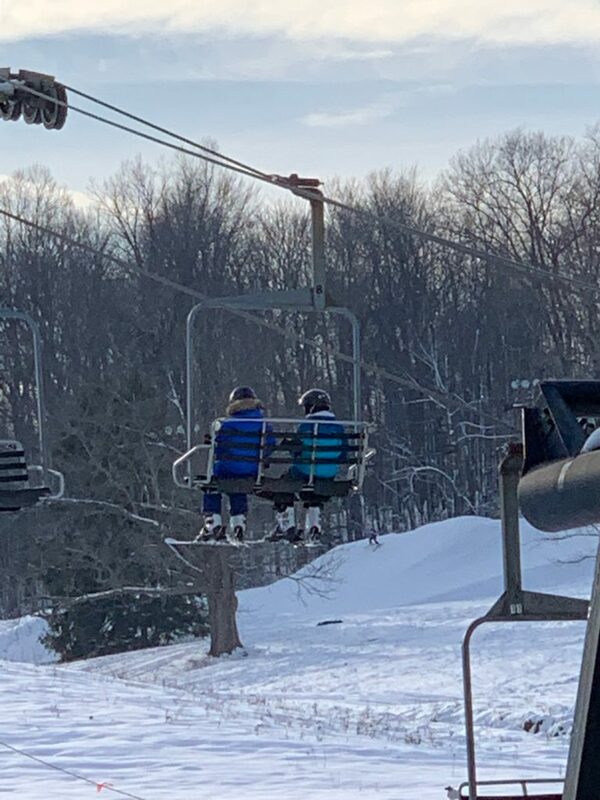 Today is the last day of ski club for the season. He has loved every single minute of every single time he’s been out there. He BEGS to go on the weekends because he’s found something he cannot get enough of. To see the joy in him when he talks about skiing makes my heart so happy. I think I sometimes forget that kids with medical “stuff” are often some of the most responsible kids out there. From a very early age, they learn responsibility on a scale that many kids don’t for some time. As a parent, these steps aren’t easy, but the payoff can be huge.